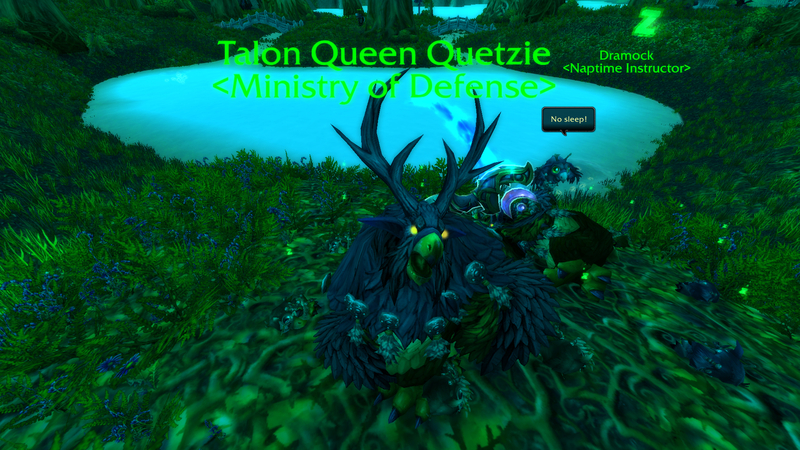 There’s a micro-holiday today, and it’s Talon Queen Quetzie’s favorite day of the year. Here are some of highlights of her day spent with the Moonkins! 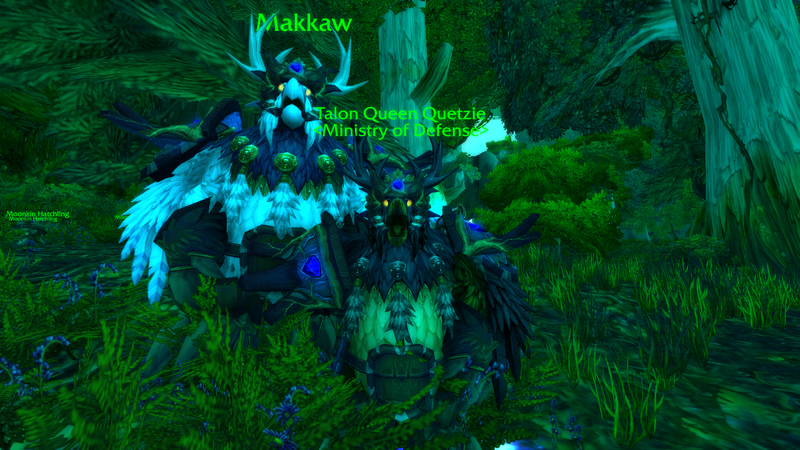 Hanging with Makkaw, who organizes the chance to watch the baby Moonkins! First assignment: Observe the babies dance lessons from Astralaire. And of course, show them a thing or two while I’m at it! Second Assignment: Watch them practice moonfiring under the tutelage of Pewkew. 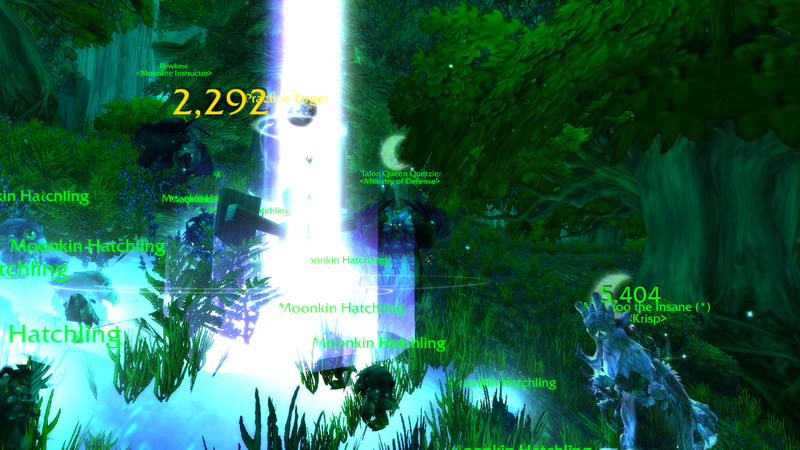 Of course, myself and other experienced Moonkins joined in to show them what their power could be like in a few years! Third Assignment: Observe them napping with Dramock. Of course there’s always one little troublemaker who doesn’t want anything to do with naptime! After I spent some time watching and reminiscing, a baby decided to follow me around. But his friends were in trouble! So I set out to vanquish the evil infringing upon Moonglade. Along the way, I saved a friend of theirs, Clookle! 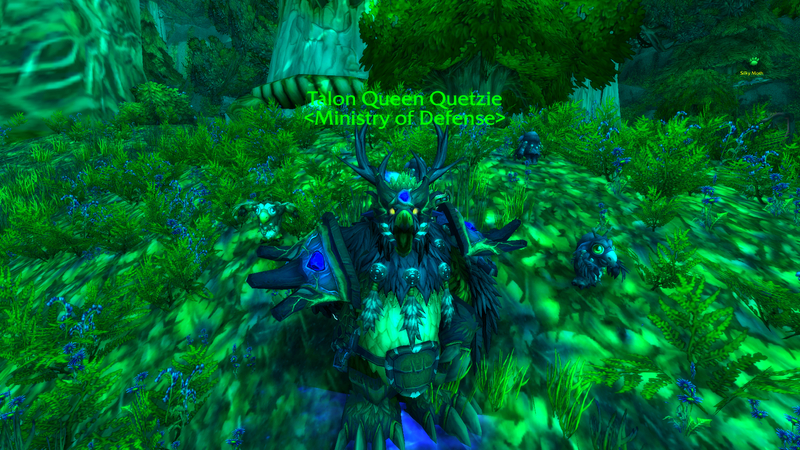 After vanquishing evil and saving the day, a total of 5 Moonkin babies decided to follow me around for the week. 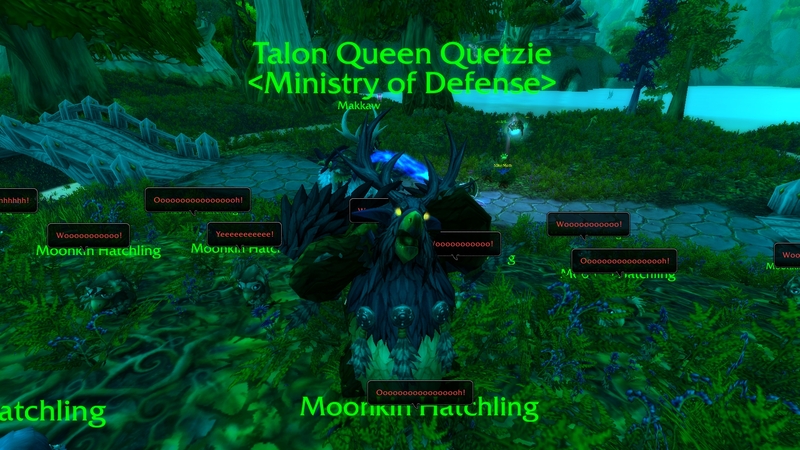 I hope I can teach them a thing or two about how to be a moonkin! 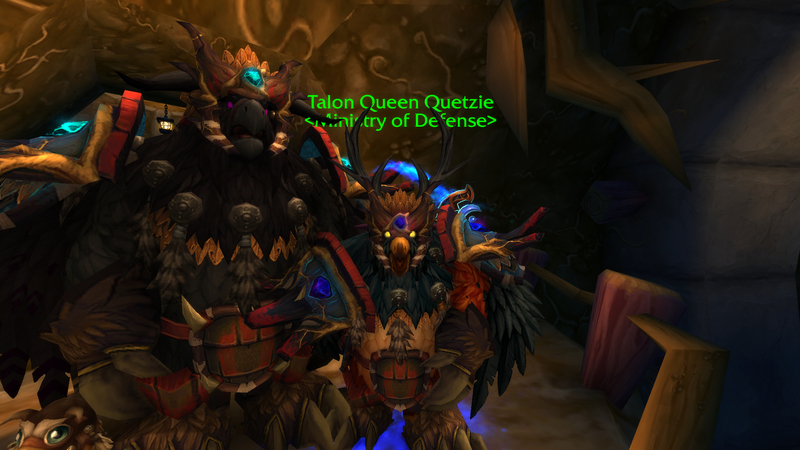 And I know my very own Moonkin Hatchling will make them feel right at home. If you want your own creche of moonkin hatchlings for the week, you can visit Moonglade and embark on a fun journey to save the day yourself!